Nashville Roofing Company, located in Nashville TN, installs Shingles, Standing seam, Metal roofs, TPO, EPDM and are Specialty Coatings Contractors. We offer a Lifetime Warranty, and are A+ BBB Rated. You can trust Nashville Roofing Company for your next residential roofing, commercial roofing, New Roof replacement, or Roof Repair job in the Nashville area. Because we take pride in our work and will treat you right. Also, we guarantee you will be satisfied with our work and believe in doing a top quality job at a fair price. Since our business is built on reviews, we treat people right and they refer us to their friends and family. Also we can take care of adding Roof Ventilation to help keep your attic cool in the summer and prevent moisture build up in the winter. Also, adding an extra layer of Attic Insulation will keep you more comfortable and save you up to 30% on your energy bill. We will help you through the Insurance Claim process and make sure you are treated fairly by your insurance company. Insurance companies do not want to pay you. But if you know what to say when you call, they have to send someone out to inspect for damage. 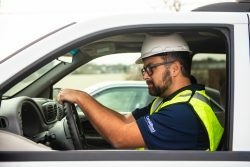 We will walk you through the initial phone call and come back out when the insurance inspector comes to check for damage. We will make sure the inspector doesn’t miss anything so you will get what you deserve for your loss. Our goal is to provide excellent customer service and provide the highest quality products to our customers at an affordable price. 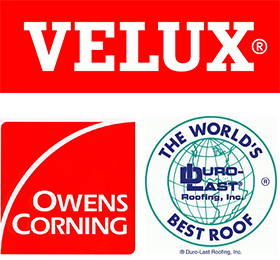 our staff strives to stay informed on the most up to date roofing technology and building practices. Nashville Roofing Company will do a free insurance claim consult and inspect for past wind damage or hail damage to see if you qualify to have your insurance company pay for a new roof. There are many homeowners in Nashville TN that currently qualify for a new roof insurance claim because of damage from a past storm. We are the premier roofing company for roofing services in the Nashville TN area. Proudly serving Nashville, Brentwood, Franklin areas to include Davidson, Williamson counties and surrounding middle Tennessee areas. How To Select A Nashville TN Roofing Company? Make sure they are licensed bonded and Insured. Just because a contractor tells you they are licensed, doesn’t mean that they are. Find out for yourself by looking them up in an online directory. Always choose a local contractor. When storms cause damage, roofing contractors from out of town send teams into town and set up temporary offices to perform work. Make sure you choose a local contractor so you won’t be in trouble if your roof should experience issues with workmanship in the future. A reputable contractor should not need more than a 50% deposit up front. There are many stories in the news about contractors that take a large deposit on the roofing job and then walk away with the money, never to perform the repairs. One of the best ways to check out any company is by checking there reviews and ratings. Check several different sources like Google, Yelp etc… and check the BBB for the company rating. According to the nation’s leading shingle manufacturer GAF, 94% of roofing companies will be out of business within five years. Since even the standard shingle products are covered by a 20 year guarantee, why would you trust a business that has only been around for a few years without great reviews and ratings? So, if you do your research, you will find that Nashville roofing company has great reviews and ratings from Google, Yelp, Angie’s list, and more. In addition, although we are not currently members, we have an A+ rating from the BBB. Nashville Roofing Company are fully LICENSED, BONDED and INSURED roofing contractors – Nashville Tennessee.